Is Your Website Still Running Old Joomla! 2.5.x? Bad news! Version 2.5 hasn’t been supported by the Joomla! Project since the end of 2014. That means for nearly 3 years there have been no security patches, bug fixes or new features released for protect your website even though new threats have evolved. Your website is now unstable and insecure. Out-of-date Joomla! software is a prime target for hackers seeking vulnerabilities they can exploit. Don’t risk being compromised. Take action today. Make sure your site is always running the current version of Joomla! core and all third party extensions to remove risky holes in your security that hackers search for. Not sure how to do a migration? Is the complicated migration process beyond your skills or interest to learn? Let a professional do it for you. Large or small, we have the experience and skill to migrate your existing Joomla! website to the latest version quickly and painlessly. What Will Migration Cost Me? Our migration fees start at $999 for a simple website. Actual migration fees are dependent on the complexity of your website set up. Besides the core Joomla! CMS update, your website may have any number of third party components, modules, plugins and templates needed to create your unique web presence. Each of these third party extensions will also need to be updated to a version compatible with Joomla! 3. Then there’s your content - text and images, download files, etc. How much do you have and how is it set up? These all impact the amount of work required to complete a migration. Before starting your migration, we perform a complete review of your website - available as a stand-alone professional consultant’s migration report for $199.99. When completed you can decide to use Sparks Arts to complete your migration or take our report to another Joomla! service provider. If you decide to proceed with Sparks Arts, we will apply your paid consultant’s migration report fee to the total migration cost. Which extensions are installed? Are they actually being used? Are your installed extensions still supported by their developers? Are versions compatible with Joomla! 3 available? If they aren’t available, what Joomla! 3 extensions could be used to replace that functionality? Do you need to renew software subscriptions to access current versions of commercial extensions? Is your current template compatible? Is it mobile-friendly responsive design? Do you need to replace it with something more modern? Are there errors in your current website configuration? Are there missing but necessary security or performance settings or extensions? Test your website - is everything working as it should? What problems exist? Run website security audit - Make sure you are not already hacked with malware. All necessary updates, modifications and replacements. Any existing hacks or malware found. Our best-practice recommendations for enhancing your website’s security and performance. Our calculated migration fee and completion timeframe. A migration is the perfect time to spruce up your website and refocus on your goals. We will conduct a one-on-one discussion with you to determine the intended purpose and goals of your existing website. Determine if any existing content is no longer useful and should be deleted, and if adding new features would increase your website effectiveness. Develop a plan to clean house so the migration process only includes what you really need to keep. 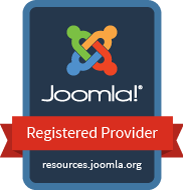 What’s Included in our PEAK Joomla! Migration Service? Make a restorable backup copy of your website for safety. No down time on your existing live website. We perform your migration on a backup copy of your website. Clean up the backup copy of your old website: delete any old content you no longer wish to keep, delete any unused extensions as determined from our previous discussions. Migration of all content and images, database, Joomla! content categories, articles, menus, users, user groups, and settings. Insure all changes in database structure between different versions of Joomla! are considered to avoid loss of data. Replace all installed third party extensions and website template with Joomla! 3 compatible versions. Adjust settings of update extensions for any new configuration options. Add any new features and functionality you requested. Tweak display styling CSS for all pages as is usually required with a new or updated template. Thorough review and testing of upgraded website before going live. Find and fix any remaining bugs. You are also able to test, review and confirm everything is working as expected before providing launch approval. Apply best-practice security and performance configuration. Optimize your images to reduce excessive file size. Make it safer and faster. Launch your upgraded website: Backup your old website, delete it and replace with your new site - in less than 10 minutes. Prerequisite: Migration Report must be completed first. Your migration report payment will be applied to the migration fee. * 30% deposit required in advance. 30 day warranty - Any problems with your migrated Joomla website will be fixed for free for 30 days after launch! Copyright © 2005-2019 Sparks Arts – All rights reserved.